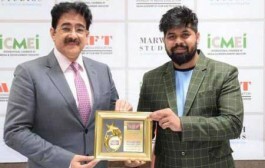 Marwah Studios has designed and given an array of 10 film festivals to the nation, which includes Global Film Festival Noida, Global Festival of Journalism, ASMS Festival of Short Films, International Sufi Festival India, ASC Short Film Festival, International Festival of Cellphone Cinema, Anime Festival and AAFT Festival of Short Digital Films. The festival has given opportunity to 1800 new film-makers and has provided a worthy platform to showcase their debut venture. The festival is the only one in the world to touch its 83rd edition taking place 4 times in a year. 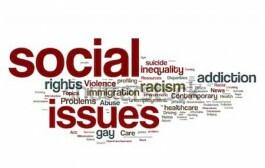 â€œWe are fortunate that the directors we endorsed have attained new heights of success and are now part of national and international projects. 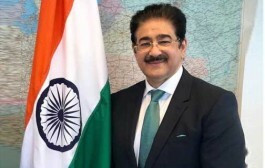 Mrigdeep Singh Lamba, Gurmeet Singh, Love Ranjan, Atul Sabarwal, Ajay Behl are some of themâ€ said Sandeep Marwah President of the Festival while lighting the inaugural lamp. 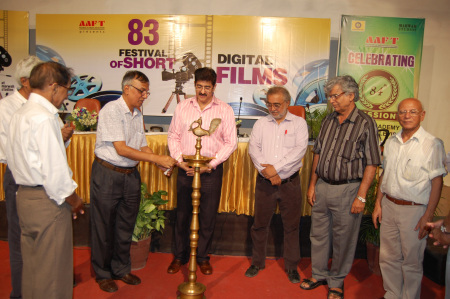 Films featuring in the 83rd Festival of Short Digital Films screening are â€˜Logicâ€™ directed by Deb Jyoti Mahato, â€˜Endlessâ€™ by Sumiet Patil, â€˜Azadâ€™ by Abhishek Mamgain, â€˜Aashiquiâ€™ by Abhishek Bharadwaj, â€˜Preetâ€™ by Harkirat Singh, â€˜Justice for Lifeâ€™ by Shubham, â€˜The Shadowâ€™ by Akash Bansal, â€˜The Unknownâ€™ by A. Akinshola, â€˜Heart Brokenâ€™ by Atine Adiko, â€˜Secret of Indian Loveâ€™ by Dateme Lolo, â€˜Girahaâ€™ by Karan, â€˜Say No to Drugsâ€™ by Moses Francis, â€˜Scourgeâ€™ by Ossi Diana, â€˜Unconditional Loveâ€™ directed by Pavitra Poonia, â€˜Gift a Smileâ€™ directed by Puneet Mallik, â€˜Rag Pickersâ€™ by Rahul Malkoti, â€˜Obligationâ€™ by Sagar Khanna, â€˜Identityâ€™ by Sahil Mallik, â€˜Passionâ€™ by Saranjit Nanda, â€˜Noida & its Developmentâ€™ by Shekhar Nair, â€˜The Juristâ€™ by Solomon and â€˜Kasme-Vaadeâ€™ directed by Manish.